BF80.3 S4, Light and reliable - MB S.p.A. 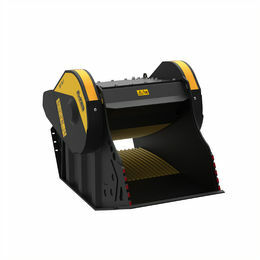 The BF80.3 crusher bucket is compact, versatile, and ideal for crushing and recycling operations, both inside and outside. Its reduced weight and size allows for easy transportation, making it quick and economical. 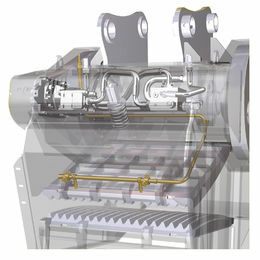 It has high levels of efficiency and productivity. It has a load capacity of 0.91 cubic yards and a production rate from 13 cy/h to 44 cy/h, depending on the adjustment setting.